Econet Media has reportedly activated its "contractual termination clause" with Dr Dish, the licence holder on the back of whom they were running their Kwese TV services in Zimbabwe. 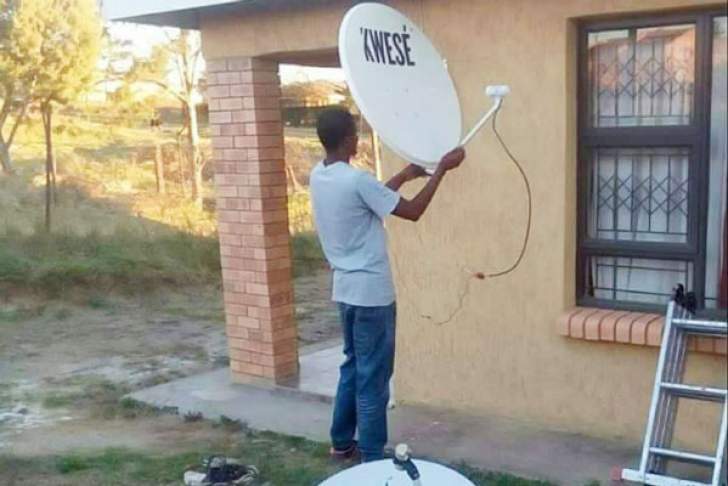 This has had the effect of sparking fears that the satellite television provider now is in legal limbo and that government's hands may be forced to pull the plug on Kwese broadcasts into Zimbabwean territory. Buoyed by an "agreement" with the erstwhile Government of President Robert Mugabe, and with his ministers harping in support of Kwese being allowed to broadcast into Zimbabwe, Econet Media wrote to the Broadcasting Authority of Zimbabwe on November 10 with High Court record HC9182 /17 indicating that their marriage with Dr Dish was over. The company is owned by Zimbabwe's first official billionaire, businessman and shrewd maverick Strive Masiyiwa. But after the pawns, bishops, queen and king on the chessboard of politics fell, the fear is whatever "arrangement" that may have let Kwese continue broadcasts will be voided, with the no-nonsense anti-corruptiongovernment of Emmerson Mnangagwa scrutinising all deals made between government and powerful corporates to ensure transparency and the absence of any criminal abuse of office. The fear is that as government pulled the plug on DSTV's GoTV attempt and left many holding onto cold decoders, so too may the new Kwese broadcast find itself without any signal. When reached for comment, Econet Media acknowledged that they indeed had severed ties with the mule on whose back they had entered the world of broadcasting in Zimbabwe, but said their continued operation is above board as their operations are sanctioned by the 'government'. And in spite of there not being a properly constituted BAZ board and through a transitional period without a minister, Econet Media say they are playing legally. "Without getting bogged down with legal interpretations, all Kwese operations have the authority of the government," said Econet Media consultant Mr Zachary Wazara when reached for comment. Sources close to the goings on and our investigation have revealed that Econet Media in fact do not have a licence to broadcast in Zimbabwe and were using a permit instead to continue their operations. "It is not a licence that they have been operating on but rather a permit until such a time normalcy returns to BAZ and the line ministry can decide the fate of Econet Media and their quest for a licence," said the source. However, a comprehensive look at the Act that governs broadcasting in Zimbabwe for both terrestrial and satellite TV players shows that there curiously is no explicit provision for a 'permit' in the Act nor could it be established who had indeed granted that permit; the 'old' government or the "new" Government. However, Econet Media says while former ministers in the erstwhile government; the bad-meets evil chum duo of Jonathan Moyo and Saviour Kasukuwere were singing praises for Kwese and arguing that it ought to be allowed to broadcast, the two held no official brief for Econet Media whatsoever and were tweeting and individual birds in the webosphere. Apparently, Kasukuwere was not their saviour! "Neither Kwese, nor the Econet Group has any relationship whatsoever with the parties you refer to. I am sure you agree with me that no company would ever make a multi-million dollar investment on the basis of opinions expressed by an individual on Twitter, or any other social media platform. Decisions with respect to Broadcasting are handled through the relevant line ministry, and not via individuals or the social media. ''As is consistent with all the activities of the Group, all Econet Media operations are being executed above board," said Wazara. Interestingly, even before the issue of Kwese and Econet Media and their quest for a licence is heard, Econet seem to be clairvoyantly convinced that whoever will be tasked with dealing with the issue will merely rubber stamp the turning of the 'permit' into a licence. It is written in the stars it would seem Econet Media believe. "There is no risk of the service to our customers being interrupted now or in the future as Kwese operations have the authority of government," said Wazara. "Kwese through Econet Media just wanted to enter into the game on the back of Dr Dish and either wanted to push them out in true Trans National Corporation style or buy them out. It think they chose the messy way of parting ways bloodily leaving their erstwhile partners with nothing to show for standing by Econet Media when they did not have a licence to penetrate the market," said an insider into our investigation. Dr Dish's Nyasha Muzavazi, when reached for comment, was coy. "We are currently studying the letter to BAZ and will stand guided by our advisors on the way forward," he said before hanging up. Meanwhile, Wazara waxed lyrical regarding the 'miracle' of Kwese TV. "The launch of Kwese has been one of the most exciting and powerful developments in the country. In less than a year, the company has been able to recruit, train and empower over 3 000 entrepreneurs (companies and individuals) who are doing service installations and support on a non-stop basis. Over 1,000 brand ambassadors have been employed," Wazara said. "Customers have been offered a very rich content offering at a third of the premium services which were previously offered in the market before the launch of Kwese, and they can pay in bonds, Ecocash, swipe or dollars." Furthermore, they have a flexible payment option to pay for 30 days, 7 days or 3 days depending on their preference. Furthermore, they can get the Kwese Mobile Experience, which enables them to watch the same content on their mobile phones, streaming on the Econet LTE network or Kwese Hotspots." "The partnership between ZBC and Kwese has also been a big boost to customers who can now watch their local news from anywhere at any time on their mobile devices." "The launch of Kwese has got to be one of the most exciting stories told, not just in Zimbabwe, but in Africa," he concluded.